Since 2004 it has been held a traditional excursion in the festival of San Sebastian Musical Fortnight, which this year celebrates its 77th edition. 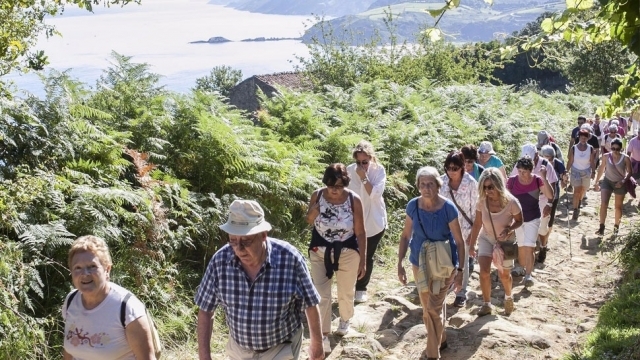 This Saturday will mark 12 years of tradition and fill a stage of the Camino de Santiago in its passage through Guipúzcoa; This time the route chosen is separating the town of Deba and the Mutriku neighborhood of Olatz (bordering Vizcaya locality), about 8 kilometers away. This is the last stage of the Camino de Santiago in Guipúzcoa and covers the entire coastal path by the Basque province, so it is seen as a good opportunity to enjoy some beautiful landscapes. As in the same programming of the Musical Fortnight is defined, the tour "is an invitation to enjoy nature, enlivened by several musical moments", which may be true for any point paying 8 €. The starting point will be this Saturday at the Plaza Vieja of Deba at 10.00 h., Can book at telephone 31 943 00 70. The organization provides a service of buses Donostia-Deba / Olatz-Donostia, departing of San Sebastian at 9.00 (Avda.Zurriola, 16) and return at 13.00. The San Sebastian Musical Fortnight is the oldest music festival in Spain and one of the oldest in Europe, held continuously since 1939 in the month of August. His birth was driven by the merchants and restaurateurs of San Sebastian to try to boost tourism in summer and to continue the long musical tradition of the city.